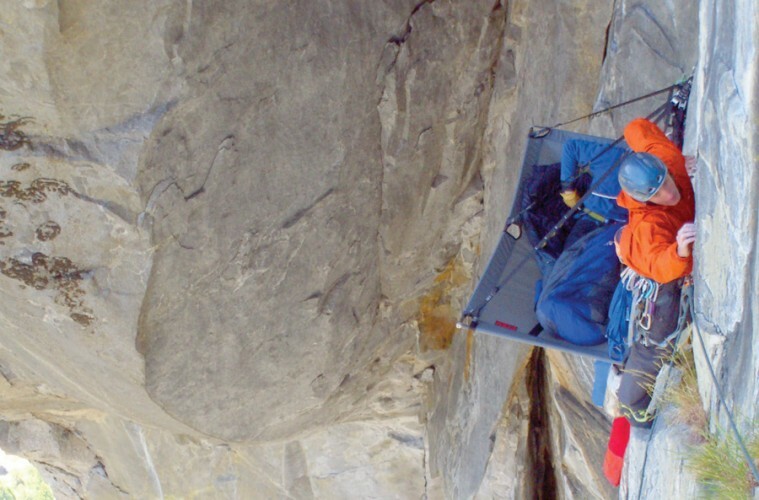 May 2008: 17-year-old Hayden Kennedy, Jonas Waterman, and I were a few pitches up El Cap’s El Niño (VI 5.13 b/c A0), a notoriously runout, nearly-free route on El Cap’s steep southeast face. The wall looked absolutely huge from our belay stance a few hundred feet off the ground. Hayden stepped off the anchor and headed into one of the first few cruxes—near vertical face climbing with minuscule handholds and little crystals for footholds. He moved quickly, confidently, and when he got into big-fall territory on hard climbing he simply “journeyed on,” as he said. It didn’t take long to see that Hayden, on his first El Cap route, was the future of climbing. Here was a kid ticking off 5.14s at Rifle every few weeks, with a solid lead head, and miles and miles of hard and varied climbing under his belt. I was impressed. Then Hayden and I drove out to Yosemite that May, he pointed out towers that he’d climbed long before he “officially became a climber,” when he began taking the sport seriously at age 13 or 14. Hayden has it in his genes. He’s the son of Julie and Michael Kennedy. Michael, a renowned alpinist in his own right, established such routes as the Moonflower Buttress on Mt. Hunter among others. He has completed countless first ascents on ice and rock and was editor-in-chief at Climbing magazine for 30 years. Hayden graduated from high school at Colorado Rocky Mountain School in Carbondale, Colorado, and decided to pass on college for that moment, and just focus on his passion: To climb how he wanted to, where he wanted to. Oh, how he has succeeded. n recent years, Kennedy has grown as an alpinist, climbing more towers in the Fitzroy massif, including a near bolt-free first ascent of the southeast face of Cerro Torre. It was an ascent that proved controversial due to their removal of over 100 bolts of the neighboring Compressor Route when they rappelled down the wall. Back in town, they were threatened by locals, arrested, and spent the night in jail for removing the bolts. His career highlights include the first ascent of Carbondale Short Bus (named after his van) a 5.14- in Indian Creek; an ascent of the notoriously runout Bachar/Yerian 5.11c R/X; climbing a new route up K7, followed by a new route up the South Face of the Ogre (Baintha Brakk), a formation near K2, topping out at 7,285 meters that had only been previously climbed twice. In May, he and Nik Berry made a 10-hour all-free ascent of the Hallucinogen Wall (VI 5.13+ R) in Colorado’s Black Canyon. I ask him how he does it and his reply sums up what makes him so special: “I’m just trying to have fun and not take it too seriously.” Indeed, Hayden Kennedy’s career is going to be fun.